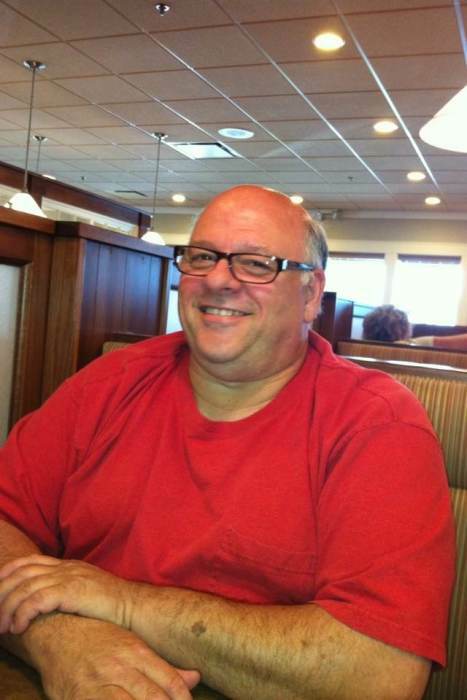 Joseph M. “Mike” Sperlazza, 63, of Steubenville passed away Thursday, October 4, 2018 at Cleveland Clinic after complications from surgery. He was born on October 12, 1954 in Wheeling, WV a son of the late Joseph and Audrey Stuck Sperlazza. Mike was a member of Wintersville United Methodist Church and was retired from Weirton Steel where he was a Railroad Engineer. In addition to his parents he was preceded in death by his sister Gloria Henderson. Mike is survived by his wife Linda Steel Sperlazza; son Michael (Kimberly) Sperlazza of Sebring, OH; daughters Alissa (Matthew) Kujawa of Steubenville and Brittany (Michael) Shank of Bloomingdale, OH; sister Lesley (Henry) Peter of Titusville, FL; brother Raymond Sperlazza of Boydton, VA; grandchildren Quinn and Olivia Sperlazza; Nora and Wren Kujawa and Oliver Shank. Friends may call at Dunlope-Shorac Funeral Home, 215 Fernwood Rd., Wintersville, OH on Sunday from 1-4 p.m., where funeral services will be held on Monday, October 8, 2018 at 10a.m. with Rev. Dr. Clint Quillen officiating. Private burial.